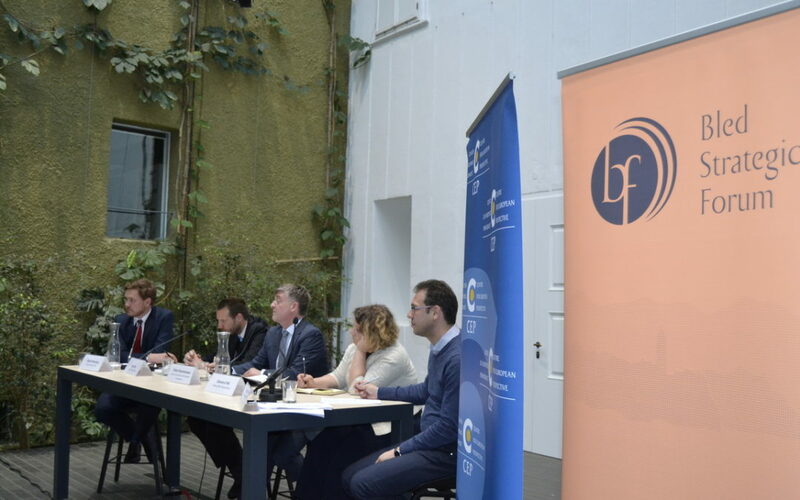 CEP together with the leading EU think-tanks organised a round table “Perspectives for the Western Balkans in the European Union” 28 March in Ljubljana, following a preparatory meeting for the Reflection Forum event to be held in Trieste 26-27 June 2017. Round table discussion was part of a series of events within a ‘Reflection Forum’ initiative, which aims to discuss the relevance of a European dialogue of research and policy institutions on issues related to the Western Balkans and their European integration in the run-up to the Conference of Heads of State and Government from the Western Balkans countries in Italy as part of the Berlin Process. The first conference in Berlin was followed by a second one in Vienna in 2015, third one in Paris in 2016 whereas fourth one will be held in Trieste 12 July 2017. Event addressed questions like what is left after Rome declaration in terms of the enlargement, where do the Western Balkan countries stand today in terms of the accession process and their progress, whether the enlargement could serve as an inspiration to EU in order to stand together more firmly, especially in current atmosphere with refugee crisis and Brexit. Further on debate addressed the expectations from the member states, Slovenian, German and Italian perspective, outcomes of the Berlin process so far and the final goals of it. Interesting questions serving as a basis for further discussion were posed, asking whether the EU is just pretending to be enlarging while the Balkans are pretending to be reforming and what are the alternatives to the EU. Round table concluded with a fruitful discussion with various questions from the audience, while all the panellists agreed that we need to keep in mind all the challenges, but also serve as an example to the Western Balkan countries and find ways to keep them inspired for changes and trespassing borders, while a structural change of all parts of the society will be needed there.